NRA TV: Train Boys To Charge At Active Shooters - Joe.My.God. “Being a hero isn’t chosen for you very often. You didn’t wake up that day, just like Col. [Oliver] North says, and think, ‘I’m going to be a hero today.’ You’ve gotta be trained and prepared to be a hero every day. And one of the things I trained my sons is that wherever you go, people should be safer because you are there. And that means that if you find yourself in a situation like this and you are a capable male in the American population, then your mindset should not be run, hide, and then fight. “It should be find, fix, and finish. That is, you find the guy that is hurting other people, you go after him, and you take him out. You do whatever you have to do. If somebody’s got to die, you stand up and you go, ‘I am the one that’s willing to die today rather than Dana Loesch or that lady over there or that little kid. 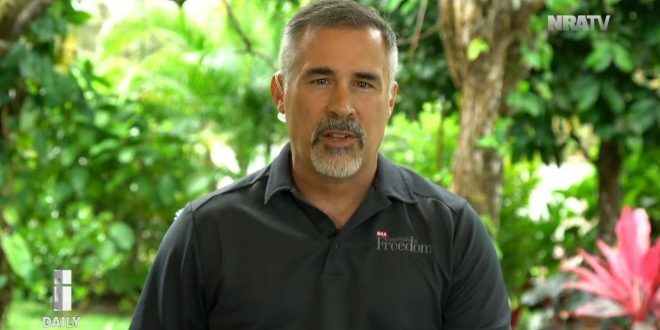 I am the one that’s willing to — I am that man that’s is going to go in and take that guy out.’ We need to train our boys more in that line of thinking.” – NRA TV’s Chuck Holton. Homeland Security has a rather different opinion.